Imagine holding a 19th century letter about an escaped slave in 1843 or a newspaper describing one of the first NY style baseball games in 1848! Be the first to answer one of your own questions about the history of your school. That is the role of the Gunn Scholar, a senior chosen through their efforts and character to pursue a topic of his choosing in the Gunnery archives as a yearlong course. It’s an endowed program so there are opportunities to research in other archives such as the Baseball Hall of Fame in Cooperstown, the National Archives in Washington DC, or the Beinecke Library at Yale. For more than a decade, our scholars have researched their topics, published their illustrated papers (which are then used by other scholars), and presented their findings to the school in the form of lectures, documentaries, exhibits and plays and to various public groups such as the local library consortium. Each and every scholar has unearthed something new either in our own archives or in others, sometimes answering questions we have not even asked…. Debunking myths, clarifying events, and contributing to our ongoing story. Come add your piece to our lively mosaic! 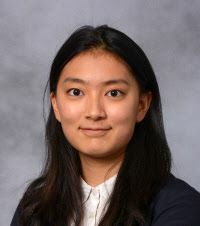 Rain Ji is a four-year senior at The Gunnery, who is being honored as a Gunn Scholar for the 2018-2019 school year. Rain is interested in unveiling the development of the student publications at the Gunnery, as she has a strong interest in the school newspaper The Highlander. Rain has been an editor and writer for The Highlander since her sophomore year. During Rain's junior year, she had the privilege of working with the other newspaper editors to revamp The Highlander and give it a more professional flair. For the first time in several years, The Highlander was distributed in print. This was inspired by the long tradition of printing and distributing the newspaper at The Gunnery. Rain became increasingly interested in this topic as she discovered that the Newspaper played a vital role in the process of student leadership at the Gunnery-- this came through clearly in Mark Choi c. 2017's Gunn Scholar project. Through Mark's research, we learned the importance of school newspapers and other media forms especially as they became increasingly visible to the public. As an editor and writer for The Highlander, Rain has noted that The Gunnery uses its newspaper and other publications to teach students news literacy and how to effectively publish their ideas. Therefore, she is excited to bring this topic to light in her research for her Gunn Scholar project this year. 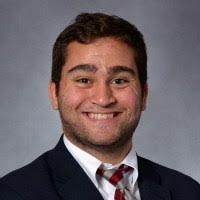 Michael Kassis entered The Gunnery as a sophomore, and has been interested in participating in The Gunn Scholar program since he enrolled. He has been interested in looking at history through a wide variety of lenses, and is being honored as one of our Gunn Scholars for the 2018-2019 school year. Paige's Gunn Scholar project will focus on the function of women throughout The Gunnery's history, from Mr. Gunn’s wife, Abigail, to Mr. Gunn’s controversial decision to teach both young men and women in the 19th century. Paige has been exploring the role that Abigail Gunn played in the early days of The Gunnery. She has also noted the early roles of women at the school, which were not typically that of teacher-- but instead were school nurse and dorm parent. This was different from what was happening in other schools, given the feminization of teaching throughout New England in the late nineteenth and early twentieth centuries. Tony and Joey will be working as our first ever Gunn Scholar Research Team. Both scholars will be focusing on the architecture on The Gunnery’s campus, but taking different approaches to this research. Joey is considering architecture on The Gunnery’s campus in terms of landmarks. She explained, “When we think of China, we have an image of the Great Wall; When we think of America, the Statue of Liberty will be the first thing that is called to mind. For me, Bourne is the landmark of the Gunnery. When I first stepped onto the Gunnery campus, Bourne was the first building that caught my attention. The combination of grey rooftop covered with snow and the stone walls on the first floor really appealed to me, which greatly increased my interest in attending this school.” Joey has been looking at each building on campus in terms of architectural interest and history and how each building shares a story concerning how plans for the building were created, developed, implemented and eventually built on campus. Tony will be taking a more philosophical approach to his discussion of architecture on campus. He is seeking to put his philosophy of architecture together with philosophies of Gunnery architects to find a bridge between architects’ ideal world and the reality. Tony has begun his research by looking at the early minutes from our Board of Trustees and the communication that they had between the architects and the school’s planning committees. Together, Joey and Tony will be taking a more “holistic” view of architecture and the buildings and spaces at The Gunnery. On Sunday, April 28, The Gunnery will sponsor the second annual “Rooted Research Conference” featuring illustrated, place-based and primary-source history papers about the local area. A call for papers was issued last fall to local schools, museums, and historical entities. This year’s conference will feature presentations by five Gunn Scholars – seniors Rain Ji, Michael Kassis, Paige Moffat, Tony Zhang and Joey Lin – and two guests lecturers. April O. Kelley, a science teacher and Academic Technology Coordinator at the Academy of Our Lady of Mercy, Lauralton Hall in Milford, will present “We Dig History,” about a student-led archaeological program that led to the discovery of artifacts on the campus, which is a national historic landmark. In addition, Rayane Taroua, a junior at Hopkins School, will speak about the Student Health Survey and other research she conducted, which led to the publication of her investigative report, “The Environment of Illness at Hopkins.” . 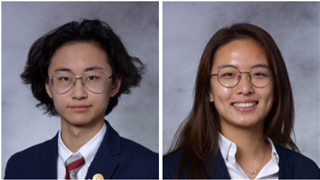 The 2018-2019 Gunn Scholars willpresent their research on the following topics: the development of student publications at The Gunnery, and the vital role of the school newspaper; the Vietnam War and its influence on The Gunnery and individual veterans; the role of women throughout The Gunnery's history, from Mr. Gunn’s wife, Abigail, to the young women who were enrolled in Mr. Gunn’s school in the 19th century; and the architecture of The Gunnery campus as viewed from dual perspectives: as historical landmarks and the philosophical approach of those who designed the structures. . There will be opportunities for questions. The conference will be held in The Gunnery’s Tisch Family Library from 9 a.m. to 4 p.m. on Sunday, April 28. The public is invited and admission is free. Reservations are required. Please email gunnscholar@gunnery.org. The Gunn Scholar presents his or her completed research to the school community in May each year in the form of a lecture, exhibit, play or other public display. In addition, a generous 50th reunion gift of $27,000 from the Class of 1957 has assured the publication of Gunn Scholar research. Questions? Please feel free to contact The Gunnery’s archivist, Misa Giroux.